Cooper Bussmann | UK Electrical Distributors – E. Preston (Electrical) Ltd. Circuit protection components: LV fuselinks, LV fusegear, electronic components, HV Components, high speed fuses. Cooper Bussmann has been part of the Eaton Electrical business since 2012, benefiting from Eaton’s nearly 100 years of experience. 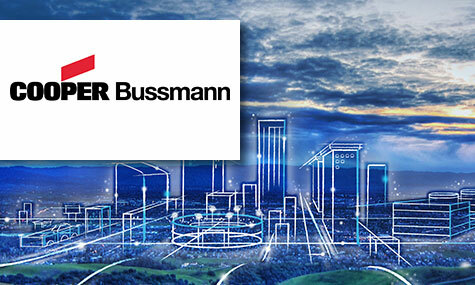 Bussmann leads in critical circuit protection, power management and electrical safety. Cooper Bussmann is committed to the development, manufacturing and marketing of innovative circuit and power electronics protection, overvoltage protection, as well as power management solutions for industrial, electronics, alternative energy and high reliability markets. Industry-leading brands offered include: Cooper Bussmann circuit protection products; Coiltronics magnetics and PowerStor super capacitors. E. Preston Electrical Ltd is an official distributor for Cooper Bussmann electrical products. Visit the online store to browse thousands of components.